Toss all ingredients together. Let marinate for 30 minutes before serving. Another recipe that is more than the sum of its parts. 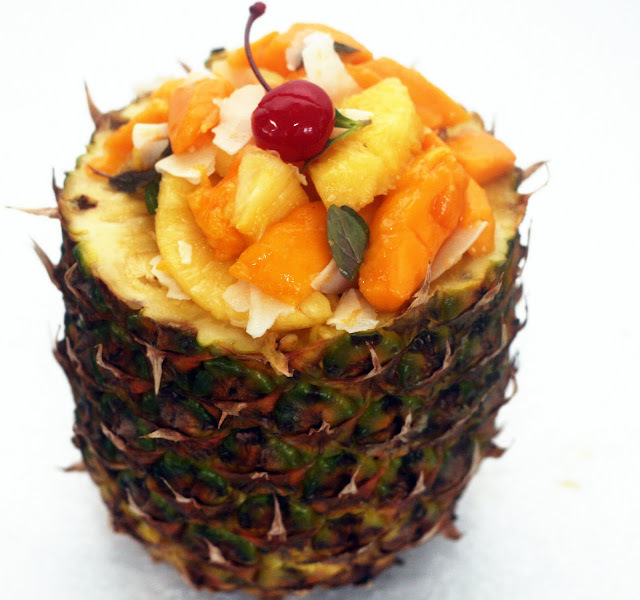 One of the things I love about my pineapple corer is that it not only makes perfect slices of pineapple but that it leaves the pineapple intact to use as a bowl. That really appeals to my kitschier side. Since the fruit is so juicy, it makes a lovely sauce all by itself just by sitting for a bit.